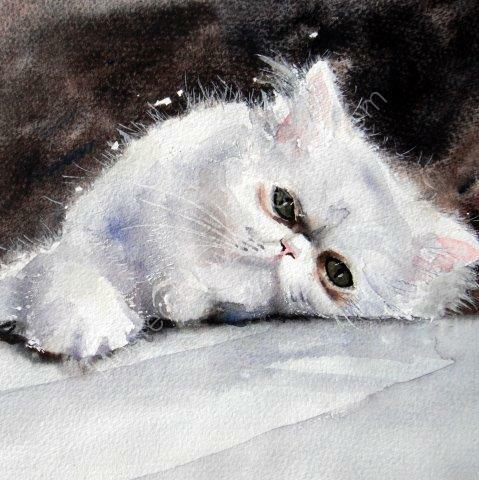 'Lazy Days' persian cat greeting card has been printed from an original watercolour painting by Janet Gammans. Measuring 6" x 6" and printed on 350gsm semi-gloss prime silk art card. Together with white envelope, has been packed in clear a cellophane bag. The inside of the card is left blank for you to write your own personal message. This card can be used as a birthday celebration card or any other anniversary acknowledgement of your choice!